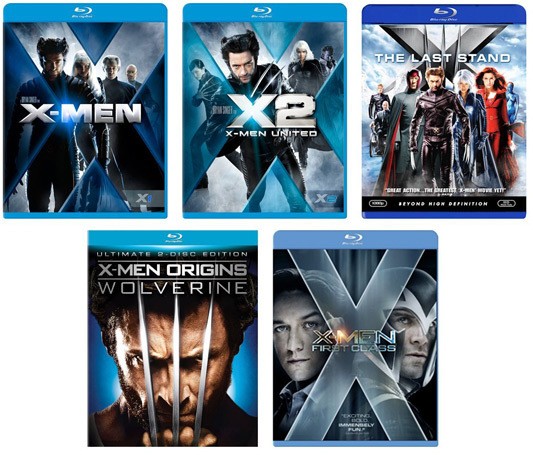 As of now, all the X-Men movie series have been available in both Blu-ray and DVD disc on Amazon and other stores. X-Men is the first REAL attempt at bringing a Marvel Comic to life on the silver screen. These well-written figures not only leave enough cheese and in-jokes for fans of the comics, but also cheer up newbies with excellent plot. With the Blu-ray and DVD release of X-Men movie series, you could purchase X-Men Blu-ray disc and X-Men DVD disc freely to watch X-Men movies at home with your home theatre system. This post would introduce you more detailed information about X-Men movie series and effective solutions to backup X-Men Blu-ray/DVD discs. The X-Men film series consists of superhero films based on the Marvel Comics superhero team of the same name. 20th Century Fox obtained the film rights to the characters in 1994, and after numerous drafts, Bryan Singer was hired to direct X-Men (2000) and its sequel, X2 (2003). Singer left the potential third and fourth films, leaving Brett Ratner to direct X-Men: The Last Stand (2006). After each film earned higher box-office grosses than its predecessor, several spin-off films were released. X-Men Origins: Wolverine (2009), directed by Gavin Hood, features Wolverine’s origin story. X-Men: First Class (2011), directed by Matthew Vaughn, focuses on the origins of Professor X and Magneto. The Wolverine (2013), directed by James Mangold, follows Wolverine after the events of The Last Stand. The seventh film, X-Men: Days of Future Past (2014), featured the return of the original trilogy cast and Singer as director, serving as a sequel to both X-Men: The Last Stand and X-Men: First Class. With seven films released, the X-Men film series is the 14th highest-grossing film franchise of all-time, having grossed over US$3 billion worldwide. It is set to continue in 2016 with the sequel to X-Men: Days of Future Past entitled X-Men: Apocalypse, along with two spin-off films, Deadpool and Gambit, with a third Wolverine film following in 2017. Many sci-fi movie fans might have watched the X-Men movie series. These X-Men movies are actually not released upon the timeline of the stories. Movie studios messed the order of the whole X-Men story. If it’s the first time you watch X-Men movie series, you’re suggested to watch the series in this order: X-Men Origins: Wolverine (2009), X-Men: First Class (2011), X-Men (2000), X2 (2003), X-Men: The Last Stand (2006), The Wolverine (2013), X-Men: Days of Future Past (2014), and then X-Men: Apocalypse (2016). In this order, you could better know the storyline of X-Men movies. 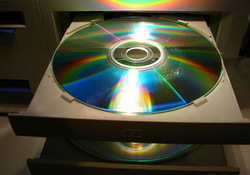 To copy X-Men Blu-ray/DVD disc or get a backup of X-Men Blu-ray/DVD disc, the most straightforward way is to make use of Blu-ray/DVD copy software that could copy X-Men Blu-ray or backup X-Men DVD disc in 1:1 disc rate onto computer hard drive or blank disc without quality loss. Leawo Blu-ray Copy is such kind of Blu-ray and DVD backup software tool that could help you easily copy and backup X-men Blu-ray/DVD disc in several simple clicks. It has both Windows and Mac versions, so Mac users could turn to the Leawo Blu-ray Copy for Mac to copy X-Men Blu-ray/DVD disc on Mac (Mac OS X 10.6 and later). The below steps show you how to copy X-Men Blu-ray/DVD disc. Kick off Leawo Blu-ray Copy. Insert your X-Men Blu-ray/DVD disc into the disc recorder drive (if you want to copy X-Men Blu-ray disc, you need to get a Blu-ray recorder drive). Click the drop-down box before the big green "Convert" button and then choose "Change" option to enter Profile panel. Choose a profile as output format according to your device. Click the big green "Copy" button. On the popup sidebar, set "Copy to", "Disc Label" and "Save to" options. After these settings, click the "Copy" button to start copying X-Men Blu-ray/DVD disc. If you want to copy X-Men Blu-ray/DVD disc into another disc, insert a blank writable disc into the other recorder drive, and then choose it as target under "Copy to" option. If you only get one disc recorder drive, choose to copy X-Men Blu-ray/DVD disc into an ISO image file, and then burn the ISO image file to blank disc. "Burn to" option allows multiple choices. That means you could copy X-Men Blu-ray/DVD disc to another disc, while at the same time create an ISO image file or folder as you like. By creating an ISO image file of source X-Men Blu-ray/DVD disc, you could use Leawo Blu-ray Copy to burn created ISO image file onto blank disc as well. Insert a blank writable Blu-ray/DVD disc into disc recorder drive. 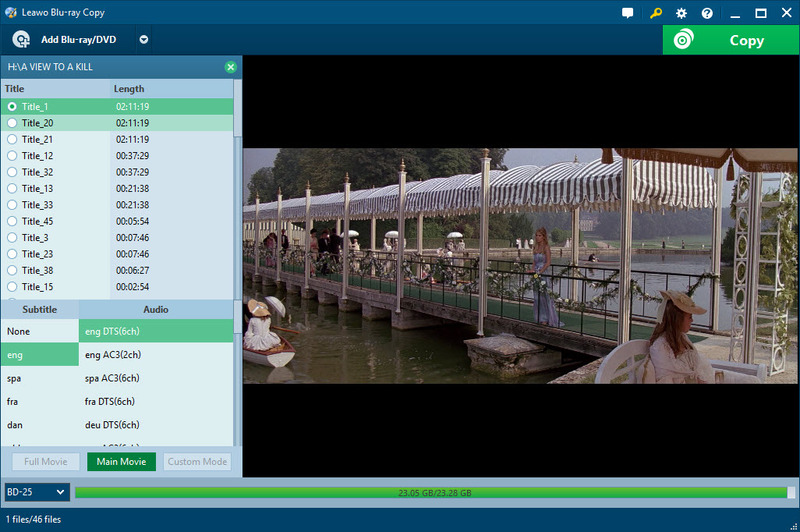 Drag and drop ISO image file into Leawo Blu-ray Copy, set "Copy to" and "Disc Label" options on the "Add iso file" window, and then click the "Burn" button to start burning ISO image file to disc. Inserted Blu-ray/DVD disc should be in accordance with what you’ve set in Step 2. Make sure your computer get enough storage space if you copy Blu-ray/DVD disc into ISO image file. To backup X-Men collection Blu-ray disc, you could also choose to rip and convert X-Men collection Blu-ray disc to digital videos in various formats like MP4, MKV, FLV, MOV, HD MP4, H.264, etc. Thus, you could use Leawo Blu-ray Ripper to do the ripping and backup work of your X-Men collection Blu-ray disc. 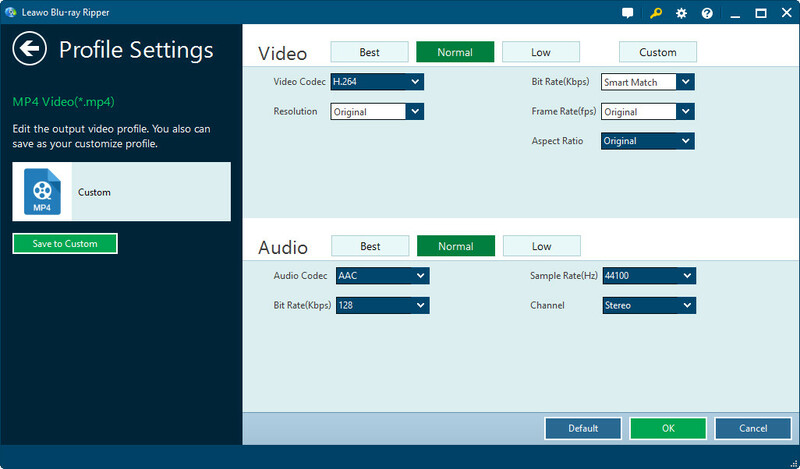 Leawo Blu-ray Ripper helps you easily convert X-Men collection Blu-ray disc to various video formats like MP4, AVI, FLV, MOV, M4V, MKV, WMV, etc. on your computer with HD video image and excellent audio quality retained. So, you could easily play back X-Men Collection Blu-ray movies on your Windows Media Player, iPad, iPhone, Galaxy Note 4, etc. as you like without using the X-Men collection Blu-ray disc. This would no doubt reduce the use of X-Men Collection Blu-ray discs and therefore you could keep it safe from scratching or damaging. Insert X-Men Blu-ray disc into the Blu-ray recorder drive and X-Men DVD disc into the DVD recorder drive. Click the "Add Blu-ray/DVD" buttun to add in X-Men Blu-ray/DVD disc. When loading X-Men Blu-ray/DVD disc, you’re provided with 3 different content loading options: Full Movie, Main Movie and Custom Mode. Choose any one according to your real needs. For movie-only conversion, please select Main Movie mode. After loading, you could even play back loaded X-Men movies via the internal player, edit X-Men movies through the built-in editor like adding watermark and 3D effect, etc. After loading X-Men Blu-ray/DVD disc, on the main interface, right before the big green "Convert" button, click the drop-down box and then choose "Change" option. On the Profile panel, choose a profile as output format. Click the drop-down box and then select "Edit" option to enter the Profile Settings panel, where you could set parameters of selected profile, including: video codec, bit rate, resolution, aspect rate, frame rate, audio codec, quality, channel, etc. After setting output profile, return to the main interface. Click the big green "Convert" button on the main interface. Set output directory in the "Save to" box and then click the "Convert" button at the bottom to start converting Maleficent disc to video. To rip and convert X-Men Blu-ray disc, you need to install a Blu-ray recorder drive for your computer, while X-Men DVD converting requires DVD recorder drive. In case of removing disc protection and region code upon personal discs for personal use, Leawo Blu-ray Ripper requires Internet connection. The abovementioned 2 Blu-ray software tools are single apps from Leawo Software. However, you could also get an ultimate Blu-ray program from Leawo Software to handle all Blu-ray/DVD related problems like Blu-ray backup, Blu-ray converting, Blu-ray creating, DVD ripping, DVD copying, and DVD making. That is Leawo’s Total Media Converter Ultimate, an all-inclusive program which provides multiple solutions for digital entertainment. 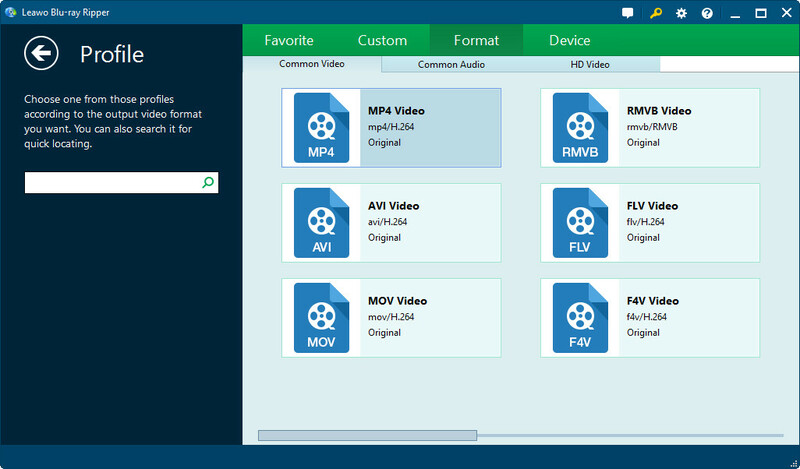 This total video converter could be used as free HD video converter, DVD burner, Blu-ray creator, Blu-ray converter, Blu-ray copy and online video downloader. It could convert between video, audio and Blu-ray files in almost all formats. Converting Blu-ray to video or burn video to Blu-ray would be just a piece of cake. This Total Media Converter Ultimate could copy and backup Blu-ray/DVD movies to hard drive or blank discs, allowing BD50 to BD25 or DVD-9 to DVD-5 compression. Besides, this total video converter program also provides user-friendly and practical features, like making photo slideshow, burning slideshows to Blu-ray/DVD, editing video, specific parameter settings, 2D to 3D conversion, disc templates DIY, etc. 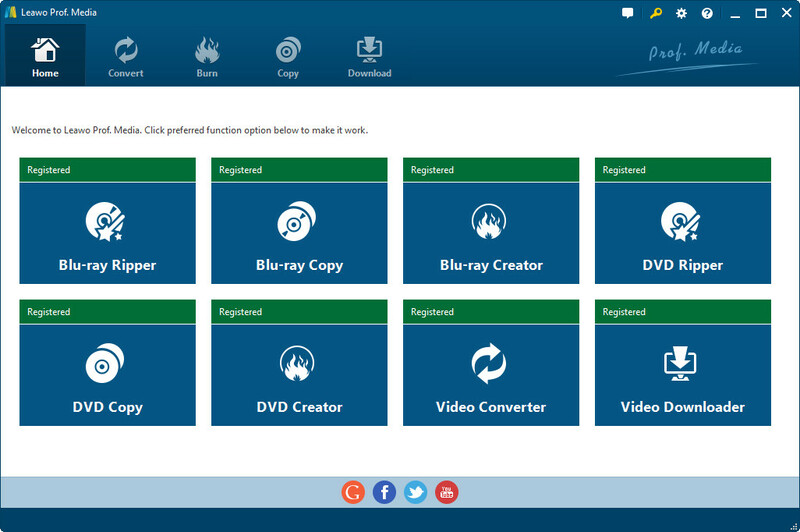 For details on how to use Leawo Total Media Converter Ultimate to help you copy or rip X-Men Blu-ray/DVD discs for backup, you could visit the user guide of Leawo Total Media Converter Ultimate.